Dr Kate van Dooren's public health research focuses on how the health system could better serve people with intellectual and developmental disability. She is currently investigating experiences and expectations of individuals with eRecords, and how to improve transitions out of prison for this group. She recently commenced a postdoctoral fellowship with the national Autism CRC (http://www.autismcrc.com.au/), where she will be developing health and wellbeing tools in collaboration with adults with autism and health professionals. 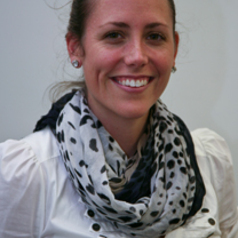 She has previously worked for several years in government and the NGO sector in Canberra.